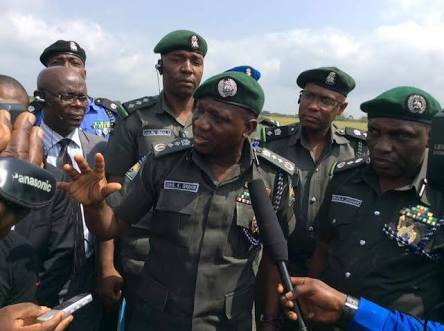 The Police yesterday made clarification on the unusually high allowances (between N50k to N200k) paid to policemen and officers deployed for election duty in Osun State. This platform had asked if the money was to compromise policemen to allow the ruling party rig against the Dancing Senator who is said to be a threat to APC, having defeated them for Senate. Clarifying the payment, the Police said the payment made to police was 10 days duty tour allowance, adding that it was done according to Financial Regulations and Public Service Rules. This is contained in a statement issued yesterday in Abuja by the Force Spokesman, Ag. DCP Jimoh Moshood. “The Force wishes to categorically state that the story is absolutely misleading and an outright misinformation which is figments of imagination of the two writers. “The Federal Government did not pay constables N50,000 each for election duty, others more as claimed in the report. Giving breakdown of the allowance, the Police said: “To further disabuse the minds of members of the public who must have read the report and correct the mischief by the writers of the story, the following is the breakdown of the Duty Tour Allowance (DTA) entitlements paid to Police Officers and Men deployed for election duty in Osun State and other previous governorship elections held in Edo, Ondo, Anambra and Ekiti States. “Deputy Inspector General of Police – N20,000 DTA per Day X 10 Days = N200,000. This is interesting. But why are we paying police 10 days allowance for a one day Election when it's not as if there were no police formation in the state? Four days allowance should be enough for Election.